Reema Bint Bandar al Saud is a Saudi princess and the daughter of the former Saudi ambassador to the US Bandar bin Sultan Al Saud. She graduated from George Town University with a bachelor’s degree in Museum studies and returned to Riyadh. 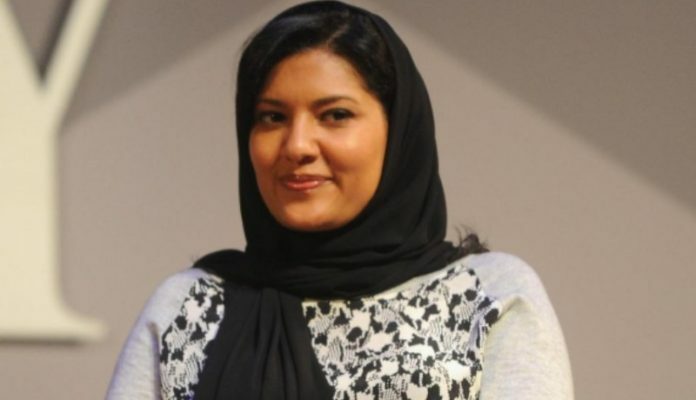 As of 23rd Feb 2019, she is the First Saudi Female Ambassador. She has spent a huge part of her life in the US as her father Bandar Bin Sultan Al Saud was the Saudi ambassador to United States from 1983 to 2005. The appointment of princess Reema as an ambassador to the United States has come as a surprise to many. She has been perhaps chosen for this rolebecause of the time she spent in the country and her understanding of American way of life. Experts are of the view that the decision to appoint Princess Reema as the first Saudi female ambassador carries more of a political decision rather than an attempt to empower women. According to political experts, the appointment is KSA regime’s attempt to improve its image and show the west it is committed to empowering women in the country, is nothing but a smokescreen to cover up the inhuman acts it has committed in Yemen and the murder of Jamal Khashoggi. It is to be noted that new Saudi regime has come up with policies to empower its women but there is still a lot to achieve. The recent case of Saudi teenage girl seeking asylum in Australia is a proof of how women in KSA are still not free to live life on their own terms . People believe that the appointment of a female ambassador will do Saudi Arabia little good until it changes its governmental policies to those which genuinely aim to empower females.